Pain Physicians NY (Brooklyn, Queens, Manhattan, Bronx NYC) is one of the first practices in New York to offer Platelet Rich Plasma (PRP) Injections for patients suffering with knee pain. Our facility equipped with the most advanced, cutting edge equipment to treat pain. Our Brooklyn pain specialists are best in region. We were selected to be a part of the international medical team for the Rio Olympic Games. 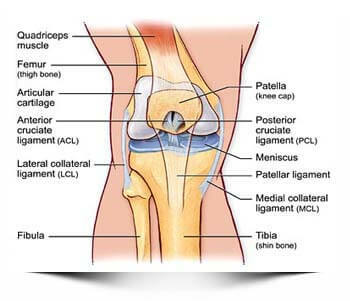 Jumper’s knee is also known as patellar tendinitis. It is a medical condition characterized by an injury of the tendons that connect patella to the shinbone (tibia). Patellar tendons with muscles at the front of the thigh work together in order to extend the knee while jumping, running or kicking. This condition usually occurs in athletes that jump a lot like basketball players or volleyball players. However, patellar tendinitis can affect anyone, regardless if they have to do with jumping or not. Patellar tendinitis or Jumper’s knee is an injury of the patellar tendons due to repeated stress. This repeated stress causes tears to the patellar tendons, which the human body tries to repair. Due to repeated stress, the patellar tendons continue to tear, causing pain due to the inflammation as well as a weakening of the tendons. Physical activity – like playing basketball or volleyball can cause patellar tendinitis. A sudden increase of physical activity or even a change of the running shoes can cause patellar tendinitis, due to excessive stress. Muscular imbalance – when some muscles are stronger than the others, these stronger muscles can pull harder the patellar tendons, leading to tears in the tendons and eventually causing patellar tendinitis. Jumper’s knee is characterized by pain usually located between the patella and the shinbone. First, the pain is present only after an intense workout. However, the pain caused by patellar tendinitis tends to get worse, eventually leaving you out of the game as well as making it difficult to perform daily activities and movements like standing up from a sitting position, climbing the stairs, etc. Other signs and symptoms of Jumper’s knee include swelling of the affected knee due to the inflammation, stiffness and even redness around the affected knee. Ignoring the pain will just make this situation worse, leading eventually to tendon tears that need surgical treatment. How is Jumper’s Knee diagnosed? Jumper’s knee is diagnosed based on a detailed medical history and a physical examination of the affected knee. The pain during the physical examination is felt on the front part of the knee, just below the patella. X-rays of the affected knee can help your doctor rule out any other bone problems that can result in knee pain. Ultrasounds of the affected knee can help your doctor visualize any tears in the patellar tendons. MRI can help visualize better even any subtle changes and tears in the patellar tendons. How is Jumper’s Knee treated? When diagnosed with patellar tendinitis, treatment should be started as soon as possible, so you could return within a short period of time to your daily activities and sports. One of the most important things in the treatment of jumper’s knee is resting it as much as possible. Starting to play too soon can just make the situation worse. Over the counter painkillers are recommended to control the pain. Ice packs on the affected knee for 15-20 minutes couple of times a day can help you recover faster. Physical therapy is very important in the treatment of jumper’s knee as it can reduce its signs and symptoms. Stretching exercises will help reduce the muscle spasms. Strengthening exercises will help strengthen the muscles of the thigh. Patellar tendon straps will reduce the stress on the muscle tendons by distributing the force away from the tendons directly through these straps. Iontophoresis is a treatment method that is characterized by the use of corticosteroids directly to the skin and then using a device that delivers low electrical charge to push the medication through the skin. If conservative treatments for patellar tendinitis do not give any results, invasive treatments are recommended. Corticosteroid injections applied directly into the sheath around the patellar tendons will help relieve the pain. These corticosteroid injections could also cause even more tendon tears as the drug can weaken the tendons even more. Platelet rich plasma injection is a new treatment method that still needs to be studied. This method is believed to promote the formation of the new tissue, which will help the damaged tendons heal. Surgery is the last treatment option for patellar tendinitis when other treatment methods have failed to control the pain. The most advanced pain management center, Brooklyn pain management doctors and specialists at Pain Physicians NY offer unique, individualized approach to manage your knee pain. We are using the most effective pain management options including Platelet Rich Plasma (PRP) and Corticosteroid Injections and utilizing the latest technologies available in USA.